Should you file your taxes online through Jackson Hewitt? Is Jackson Hewitt’s tax prep software worth it in 2018? Our in-depth review takes a closer look at how JH compares to other tax software. 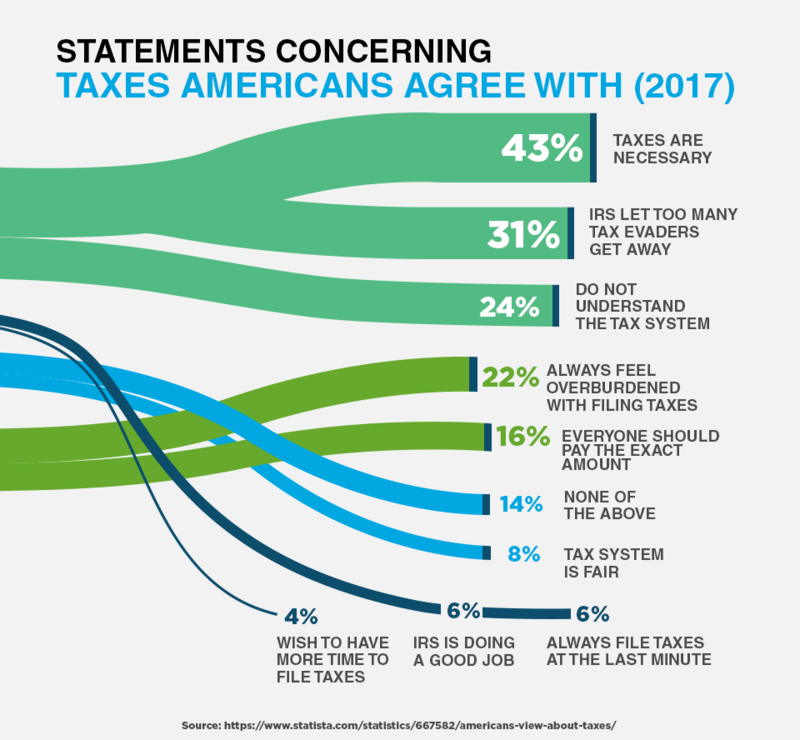 It's no secret that the U.S. tax code is a blundering tangle of terms and cumbersome calculations. Jackson Hewitt Online Premium attempts to alleviate much of the headache of filing your taxes. But other tax software products, including big-name competitors, like TurboTax and TaxAct Online Premium, offer better online service for a lower price. If you have a simple return to file, Jackson Hewitt is by far the cheapest option — and its free version truly is free. However, if you have a more complex or complicated return, it could cost you in terms of headaches, hassles, and money. For more involved returns, Jackson Hewitt's competing products offer better, more comprehensive service at a similar price point. But, there are some notable features where Jackson Hewitt comes up short. Many of the differences are going to depend on your unique needs as a taxpayer. Because of TurboTax's seamless integration with popular accounting software package QuickBooks (both of which are made by Intuit), TurboTax remains our top recommendation for small businesses and the self-employed. It is the only software program that lets you easily import your QuickBooks data — one of its major selling points. You should know that only the upper tier plan ($89.99) lets you do this, so if you use QuickBooks extensively, you'll need to fork out some considerable cash for the privilege. TurboTax costs more but supports itemized deductions. One of the biggest differences between TurboTax and Jackson Hewitt is the price. TurboTax's first paid package, known as TurboTax Deluxe, starts at $34.99. It will also cost you an additional $34.99 to file a state return. This higher price point comes with a major benefit: the ability to support itemized deductions. The ItsDeductible feature from TurboTax is worth the extra cost. In addition, TurboTax Deluxe also helps you maximize deductions from your mortgage and property tax. The ItsDeductible feature also helps value and organize any charity donations that you've made. If you make the majority of your income as a freelancer or you have a lot of 1099 forms to deal with, TurboTax covers these as well through its Home & Business package. Like Jackson Hewitt, H&R Block's software lets you file a state return for free. Support for the Earned Income Tax Credit is also free. However, this is where the similarities end. H&R Block's Deluxe package is ideal for homeowners, retirees or investors – H&RBlock's first paid tier, the Deluxe plan ($34.99), offers support for things like homeownership deductions, investments, and retirement income. The self-employed or rental property owners will need to purchase the Premium package. You can also import current and past-year tax data for free, but you'll need to pay $36.99 for your state return. For the self-employed or those who own rental properties, you'll need to fork over $54.99 for H&R Block Premium — the top tier of its product offerings. Jackson Hewitt's top package (also known as Premium) covers support for rental properties as well. There are countless other software programs on the market, including Tax Slayer, TaxAct, and many more. Generally, all tax software programs handle the basics for free or at a low cost. The more complex your return, however, the more you'll pay to complete and file it. 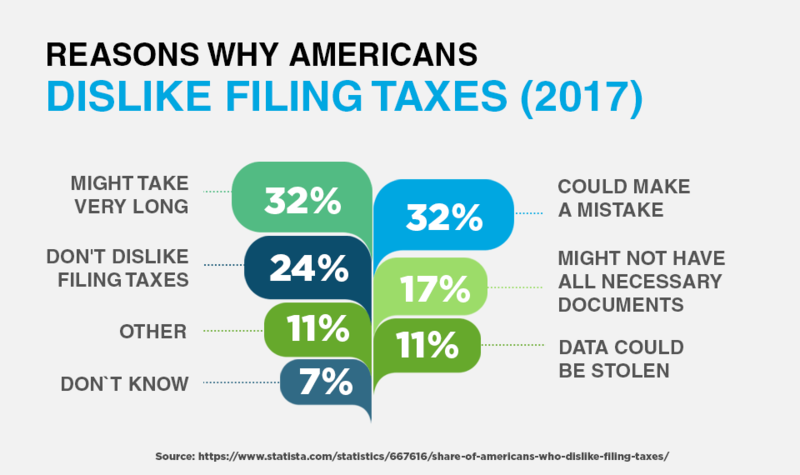 If you're truly concerned about whether or not your taxes are done right, it may be worthwhile consulting a professional CPA or tax preparer who has experience dealing with your particular tax situation. Whatever you do, don't read, How to Lie On Your Taxes and 11 Reasons You Shouldn't. How much does it cost to get your taxes done by Jackson Hewitt? These rates come from the National Society of Accountants' Income and Fees of Accountants and Tax Preparers survey report. Many tax programs, including H&R Block's free version, will charge you anywhere from $9-15 or more for state returns. Jackson Hewitt Online is truly free, provided your taxes are fairly simple and straightforward. The online platform is mobile-friendly for the most part, and you can go forward and back through the system at will. This is a major advantage for the self-employed, for example, when 1099 forms trickle in from employers, and you need to go back and fill in previous tax forms with new information. Compare this ease of use with H&R Block's preparation system, which will not let you progress until you finish the section you're on. Let's say you're entering information in the free version, and you start putting in details about dividend earnings from stocks you hold. The system will "helpfully" bump you up to a paid version if you enter something that isn't supported by your current package. Although you can always look in the upper right of the screen to see what version of the software you're running, it can be disconcerting (to say the least) to suddenly discover you've been bumped up to a paid version just for typing in some data that happens to not be supported. What's more, if you're looking for an actual software program that you can buy in-store and take home to run on your computer, you won't find one. Jackson Hewitt's system is done entirely online. 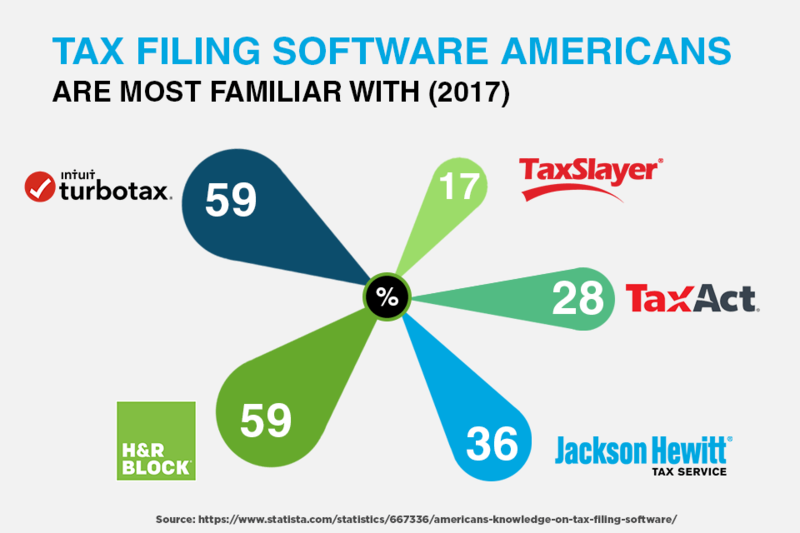 When you consider the price along with other competitive programs that do offer standalone software, Jackson Hewitt tax software can seem a bit more limiting in this regard. Jackson Hewitt tax software comes in four versions, in addition to its Jackson Hewitt Online service. Let's take a closer look at which versions are best for various common tax situations. Jackson Hewitt Online gives you a choice between do-it-yourself preparation and a guided, interview-style option. The interview-style is great for more complicated situations to help ensure that you select all the right forms. Another great feature is the Guided View versus the Tax Form View. Guided View lets you enter answers based on questions the software asks you, while Tax Form View shows you what the data looks like in the actual form. You can switch back and forth between each view, and you can skip sections even if you haven't completed them yet. This gives you far more flexibility and less rigidity in completing your returns according to the information you have on-hand. If you have a fairly simple and straightforward tax situation — such as filing a 1040A or 1040EZ, or not claiming the Earned Income Tax Credit (although the free edition does support it), the online free edition of Jackson Hewitt Online is perfect for you. Not only can you import your W-2 directly into the system, rather than having to type it all in by hand, you can also import a previous year's return if you filed at a local Jackson Hewitt service or online. If you previously used TurboTax, H&R Block, or TaxAct software and want to import those returns into Jackson Hewitt Online, you can do that as well. More complex tax needs, such as itemizing your deductions or claiming over $1,500 in interest income, will require upgrading to a different software package. The Basic Edition ($34.95 for federal, $36.95 for state) comes with everything in the free edition and is best for people who have slightly less complicated tax returns but aren't quite as push-button simple as those that the free edition handles. If you have student loan interest you need to account for or you want to claim the Earned Income Tax Credit and have no dependants, this edition would be best for your needs. The Deluxe Edition ($54.95 for federal, $36.95 for state) is designed to cater to investors, homeowners, and filers with dependents. If you have somewhat complicated tax needs, this is the best tax preparation package to buy from Jackson Hewitt. But, if you are self-employed or you run a small business, you'd be better served with the Premium Edition. The Premium Edition ($79.95 for federal, $36.95 for state) is the best tax prep software for small business owners, freelancers, or those with considerable self-employment income. 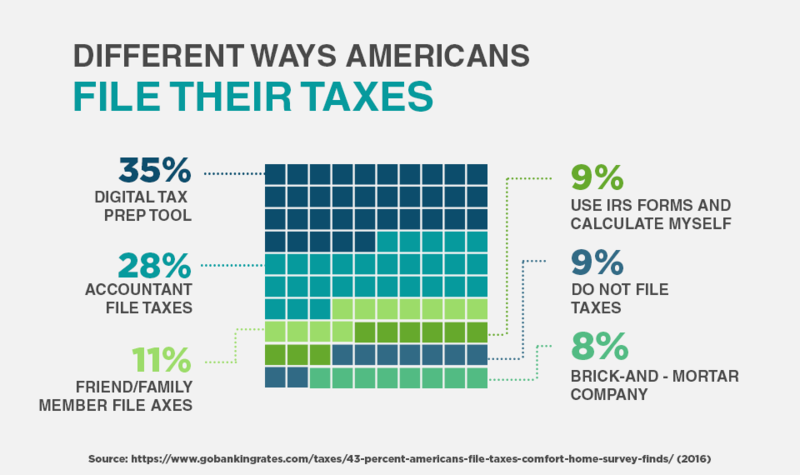 This can create situations where getting your taxes done can be complicated, as there are lots of forms to wade through. In addition to all of the features of the other software packages, you'll also get a business income and deduction section which includes things like the Schedule C, Schedule F (for farmers) and Schedule K-1. This software also lets you make business-related tax deductions such as from your home office or mileage traveled with your company vehicle. It also supports income from rental properties. Much of its business comes from local offices, as well as often-seen cubicles inside of Kmart and Wal-Mart stores. Its tax software, ProFiler, is used at all of its branch locations as well as standalone software for customers who prefer a DIY approach. When you have a tax question, sometimes you just want to talk to a human being, in-person. Having retail storefront access to a professional truly raises the bar when it comes to tax preparation. Of course, offices like H&R Block also offer similar support, but Jackson Hewitt's locations at your local Wal-Mart or K-Mart store is often more convenient than trying to find your local H&R Block branch. When you consider that there's no Jackson Hewitt desktop software program, as there is with competitor tax prep programs, you may find it a bit disconcerting to do everything online. The online guides help walk you through many processes, however, they're really only suited for the most basic of tax issues. What's more, Jackson Hewitt's online ProFiler software isn't even proprietary or exclusive to the company. It was built by a competitor who still uses the core functionality in its own software. To be fair, Jackson Hewitt has taken considerable steps to differentiate its brand of this software from the competition, but there are still several features that are lacking or could be improved upon. Like all tax preparation software programs, Jackson Hewitt's tax prep software has some notable strengths and weaknesses. Before you decide, it's worth noting the pros and cons respectively. Don't have much tax experience? No problem. Jackson Hewitt's "Help Me Decide" will guide you through the basics of tax preparation. Not sure what qualifies as a dependent? Uncertain as to the differences in filing statuses? Help Me Decide is built to provide you with advice and suggestions accordingly. Getting additional support couldn't be easier. Depending on the package tier you've chosen, you can get support by live chat, phone, or email. You can also simply walk into a Jackson Hewitt branch or kiosk — although there's no telling if you'll need additional (paid) support to help resolve your issue or question. Life Events helps you adjust your taxes from major life changes. The Life Events guide is a helpful way to determine whether things like employment, education, marriage, divorce, or a new addition to the family can affect your tax preparation. Common questions are also displayed in a "FAQ-style" manner so that you can easily see common questions and answers from one central dashboard. You can get the same performance from competing products for a lower price. As noted before, Jackson Hewitt's tax software is built upon the framework of competing products. This means that you could just as easily go to a competitor to get a similar product for less. It's worth noting that Jackson Hewitt has done quite a bit to differentiate itself, but more needs to be done. The sudden "upgrade" to a paid tier can be misleading. If you're not careful, and if you need something more than the bare minimum tax preparation, the software can sneakily "upgrade" you to a paid tier without warning you. You can see the version you're working within the upper right corner of the screen at any time, but it still feels a bit underhanded to have this kind of "favor" done for you without alerting you that you'll need to pay. The progress system doesn't match up to what you've completed or left incomplete. The progress system tries to be smart about walking you through the process from start to finish, but you can leave entire sections blank and the system will be none the wiser. It also doesn't alert you that you've left a section incomplete, so you'll need to go over each section carefully to ensure it's done the way you want. Although this guide is primarily designed to review Jackson Hewitt's tax preparation software, it's still common for many people to have questions about their local Jackson Hewitt office or related services that the company offers. We answer those top questions below. Can I find a Jackson Hewitt in my state? You can find a Jackson Hewitt office near you by using the website's office locator simply by typing in your zip code or clicking on your state. Can I file both federal and state taxes with them? Can I get old tax returns from them? You may be able to request old tax returns if you had them prepared at your local Jackson Hewitt office. You can also get copies of old tax returns if you used Jackson Hewitt's software. How can I track the status of my tax return? You can check the status of your return by signing into your My JH account and click on Return Status. How safe is it to file my taxes using its online services? Jackson Hewitt Online uses the latest in secure encryption to ensure that your personal and financial details are safe. Can I make changes to the already filed tax return? You can file an amended tax return in order to correct any errors or omissions. Click here for step-by-step directions on how to do this, whether you filed online or at your local Jackson Hewitt tax office. Will Jackson Hewitt take a second look at my file for free? Jackson Hewitt offers several fee-based options that add further guarantee layers to its work or online service, including the Audit Security Gold Guarantee and the Worry-Free Gold Guarantee. If you do receive an audit notice from the IRS, you are advised to contact your local Jackson Hewitt office so that the professional can appear at the audit and explain how your tax returns were prepared. Jackson Hewitt does not substitute for legal counsel or a financial advisor, however. How many returns can I file with the Jackson Hewitt? You can file many different types of returns with Jackson Hewitt's tax prep software, but you may need to upgrade your software in order to access more complex or specific forms. Can I import my information from TurboTax or H&R Block onto Jackson Hewitt? Yes. Jackson Hewitt's tax preparation software allows you to import information from other software products, including H&R Block and TurboTax. What kind of support will I receive from Jackson Hewitt in the event that I get audited or get a tax notice in the future? Jackson Hewitt offers both the Worry Free Gold Guarantee and Audit Security Gold Guarantee (fees apply) as optional services. Keep in mind that the company also offers free IRS audit assistance. If you are audited, a tax professional from Jackson Hewitt will appear at your audit and explain how your tax return was prepared. This is no substitute for a lawyer or a financial professional and you are advised to seek their advice if you have specific legal or financial questions. Does Jackson Hewitt offer Expat tax services? If you have a complicated return, such as dealing with foreign income, it's a good idea to consult a competent tax professional who has experience in working with tax documents from your current country of residents as well as the U.S. The tax code for U.S. citizens living or working abroad is complex, so using the software, in this case, may not be the best option. Can I file my taxes via smartphone? Although you cannot file your taxes via smartphone, you can use the JH Mobile app (available on the Apple App Store and Google Play) to make an appointment with your local Jackson Hewitt office, check your refund status, estimate the amount of your refund, and store and retrieve important tax documents. Can I pay Jackson Hewitt with my refund or do I pay out of pocket? You will need to pay for tax preparation services up-front, however, you may be able to get an Express Refund Advance, which is a no-fee APR loan made by MetaBank after you prepare your taxes with Jackson Hewitt. Do I need to use JH services again next year even if I don't want to? You are free to use any tax preparation service, or do it yourself if you'd rather not use Jackson Hewitt. How much is the JH tax preparation course? The cost of a Jackson Hewitt tax preparation course will depend on where you live as to the state requirements for things like course completion time. How long does it take to get a refund back? This will depend on your unique tax situation, the number and complexity of the forms you've filed and much more. To see the real-time status of your refund, login to your Jackson Hewitt Online dashboard and click Refund Status. How does JH fare compared to other tax preparing companies? The bottom line when it comes to the Jackson Hewitt review is that you can get better service (or more flexibility) from other tax preparation programs or services then you can with Jackson Hewitt Online — and for a more reasonable price. Is filing online guarantee the same accuracy rate as filing my taxes with an expert? Yes. Jackson Hewitt, like other tax preparation companies, offers an accuracy guarantee when filing electronically. Can JH offer a tax return advance if I can't wait for the IRS to send me the funds? Yes. This is possible through an Express Refund Advance which is a no-fee, 0% APR loan for up to $1,300 that's available after preparing your taxes with Jackson Hewitt. Keep in mind that this is offered by a third party (MetaBank) and not directly through Jackson Hewitt. Can I save my file to return to it later? Yes, the Jackson Hewitt software allows you to save your return and then continue your progress across many different sections as you wish, at a later time. Should you choose Jackson Hewitt for your tax preparation needs? If you have a fairly simple and straightforward return, Jackson Hewitt is going to be the least expensive option. Their guided interview-style option walks you through the process even if you don't have much in the way of tax filing experience. However, the more complex your return, the more some glaring flaws of Jackson Hewitt's online tax prep software begin to surface. For those types of returns, it may be better to go with a competing product that is more fully developed and focused on the specific needs of the filer. Do you use Jackson Hewitt Online to file your taxes in 2017? How has the software worked out for you? We'd love to know in the comments below.